This hub page at the web blog "Passport to Dreams Old & New" gathers up all of this site's published content covering the topic of Disney's Jungle Cruise attraction - primarily the Florida version, which I worked at and remains an obsession. It was last updated on July 25, 2015. What's in a Sign - July 2015 - an overview of the Jungle Cruise's attraction sign from 1971 until now and how attraction signs help set expectations. The Year of the Frog - October 2014 - photos and videos of some elusive frogs who flew the coop from the Jungle back in 1973 finally surface! 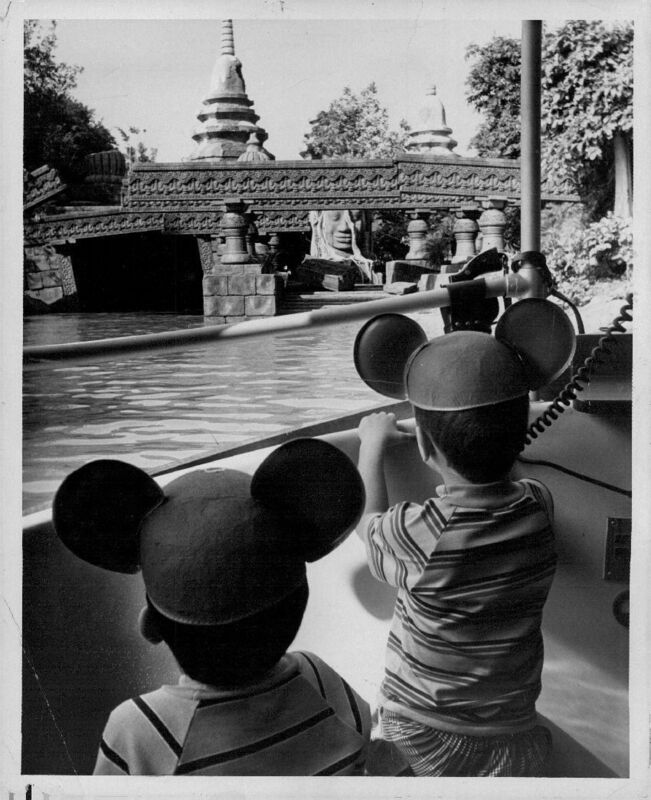 The Jungle Cruise and AWOL Airwaves - May 2014 - the style, history, and playlist of the Jungle Cruise's distinctive waiting area music. Hear the original recordings! Three Jungle Cruise Mysteries - July 2012 - update on "The Early Years" with new photos and information. The Jungle Cruise: the Early Years - July 2011 - comprehensive history of the Florida Jungle Cruise, including a full photo tour of the attraction under refurbishment in 1973. Rubber Spider Revue - March 2011 - those darn Jungle Cruise rubber spiders, and where they have and can still be found. Nine Shrines of the Magic Kingdom - November 2010 - including a section on the "Sunken Temple" in Florida. An Aesthetic Profile of Adventureland - November 2009 - How does the Magic Kingdom's Adventureland area subtly visually prepare for and reinforce the anchoring Jungle Cruise attraction? The Jungle Cruise Florida: Behind the Scenes - November 2006 - a collection of photos from early Disney publications showing the construction of the ride. This is probably not the best place to ask you this, but are you going to do a Passport to Dreams Year End Report, 2012 article? Not this year, as I simply don't have it in me to write a full article on the subject. I am splitting off a discussion on NextGen into its own post, however.